I am very excited for this because this is one heck of a great band and I always love seeing some good music especially when it is free! From Edge 102.1 Toronto’s website at http://www.edge.ca/ConcertsandEvents/SugarBeachSessions/Index.aspx (I also borrowed the poster above as well). 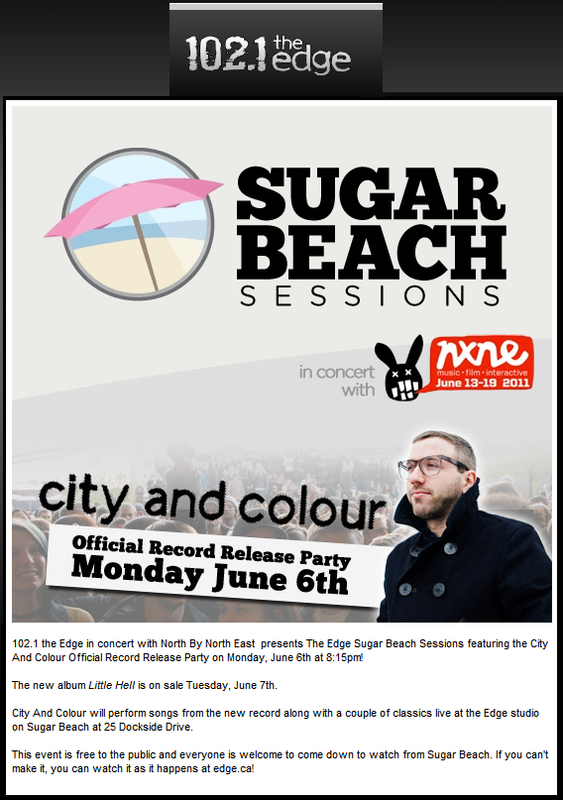 102.1 the Edge in concert with North By North East presents The Edge Sugar Beach Sessions featuring the City And Colour Official Record Release Party on Monday, June 6th at 8:15pm! The new album Little Hell is on sale Tuesday, June 7th. City And Colour will perform songs from the new record along with a couple of classics live at the Edge studio on Sugar Beach at 25 Dockside Drive. 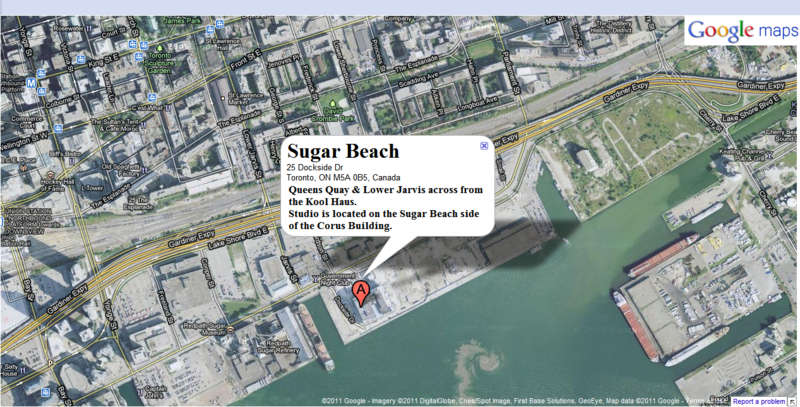 This event is free to the public and everyone is welcome to come down to watch from Sugar Beach. If you can’t make it, you can watch it as it happens at edge.ca!